The Counterpoints Arts’ team reflects on the politics of curation and the ebbs and flows of creative production with many of the artists and cultural practitioners in their network. Who Are We? runs at Tate Exchange from 14 –19 March 2017. It began as an experiment of sorts, with several Tate Exchange associates, including Counterpoints Arts, The Open University, University of Warwick and Loughborough coming together to form a collaborative, arts-led platform. More recently, the project has been made richer through contributions from Universal Design Studio and Graphic Thought Facility. With twenty-two artists contributing, Who Are We? has evolved into a heady mix of creative, cultural and political perspectives, reflecting a shared passion for staging conversations about rights, identity, migration, global displacement and citizenship – in a popular context particularly coloured by Brexit. Alia Syed, Alketa Xhafa Mripa, Ania Bas & Season Butler, Antti Tenetz, Behjat Omer Abdulla, Bern O’Donoghue, Dawid Górny, Elena Boukouvala, Knut Bry, Eva Sajovic, Gil Mualem-Doron, JC Niala, Qisetna (قصتنا): Talking Syria with Juan delGado, Jillian Edelstein, Laura Malacart, Laura Sorvala, Lucia Scazzocchio, Natasha Davis, Nele Vos, Richard De-Domenici, There There. Attuned to the challenge posed by Tate Exchange, Who Are We? is designed to evoke and provoke lively discussions and co-productions – to create something new from an arguably exhausted language of politics and public policy. To this end, Who Are We? 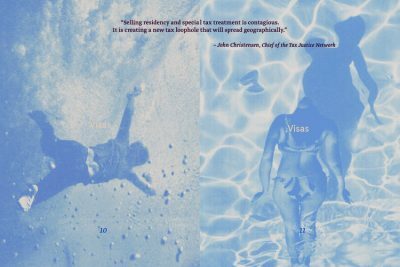 radically asks what it means to belong – across and within borders. In a moment of global movement, connection and disconnection, we ask: who are ‘we’? Who gets to decide? Yet Who Are We? is not heavy-handedly prescriptive, nor do we perceive the arts as a magical salve. Art as a vehicle for social change, when loosely bandied about remains an empty slogan. Who Are We? is instead interested in critically navigating the tensions between art, activism, audiences, advocacy and academia, seeing how and where social change might happen across these institutional divides. That said, many of the artists in Who Are We? have long stepped into the imaginative breach and vacuum where politics appears to have dismally failed. And what’s exciting is that it is almost impossible to pin these artists down using the usual arts speak and formulae. 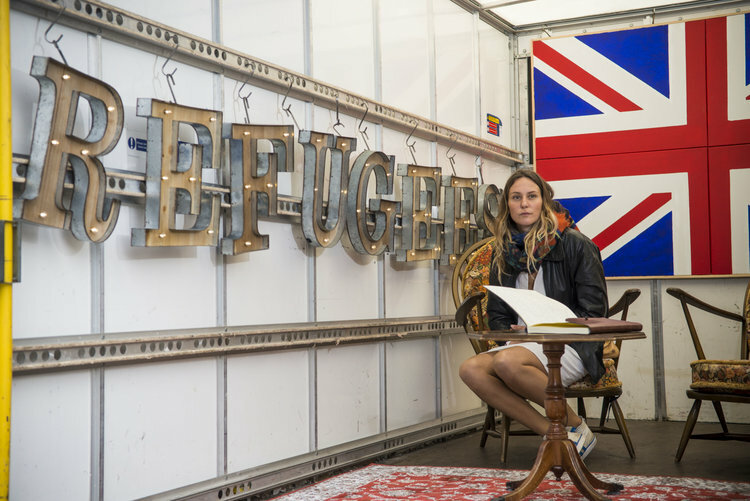 Take ‘Refugees Welcome’ by Alketa Xhafa Mripa, who is travelling around the UK with a Luton tail lift van to engage people in everyday conversations about ‘welcome’. There’s both a gentility and steeliness to this work, and its simplicity is deceiving. Alketa performs her memories of being warmly welcomed as a refugee from Kosovo in the late 1990s as a prompt for conversations. Is this performance, agitprop, site-specific installation or activism? Alketa embraces all these labels and more. ‘Refugees Welcome’ is fuelled by what playwright Eve Ensler, calls ‘artivism’ – ‘the ingredients of activism…charged with the wild creations of art’. Somewhat romantically put, yet Ensler is on to something: ‘artivism’, she says, is ‘where edges are pushed, imagination is freed, and a new language emerges altogether’ (The New York Times, 2017). ‘Refugees Welcome’ will be parked outside the Tate on the North Landscape near the river on Thursday 16 – Sunday 19 March. 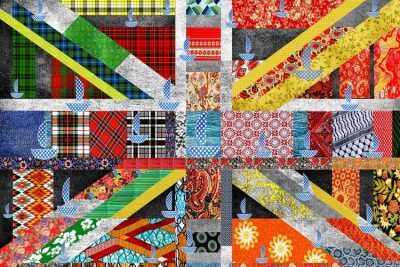 Likewise, Gil Mualem-Doron’s ‘New Union Flag’ project has all the hallmarks of ‘artivism’. 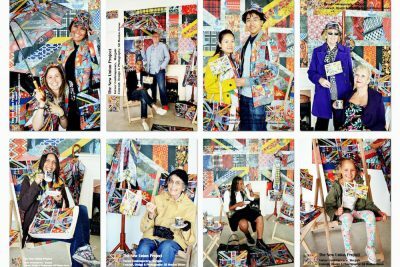 Gil is a virtuoso of ‘participatory’ engagement, positioning a re-imagined Union Jack at the centre of a series of happenings beyond the gallery, in public rallies, community settings, DIY Diversity Flag school workshops, and online networks invoking virtual communities. 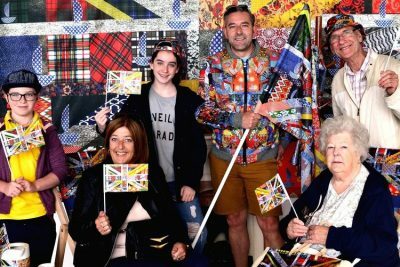 The alternative New Union Flag is mostly composed of textiles from shops and neighbourhoods echoing the everyday ‘superdiversity’ in which many city dwellers live. 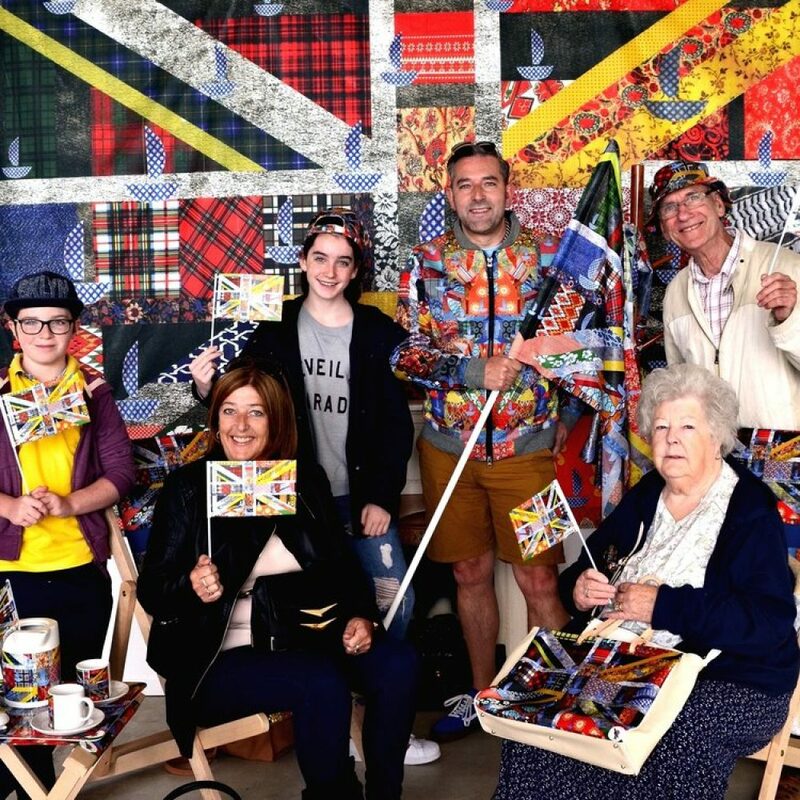 For Gil: Re-created with fabric designs from all over the world, the New Union Flag transforms the traditional Union Jack from an archetype of uniformity – to a dynamic and celebrated on-going performance of diversity. For Who Are We? (and with memories of Paul Gilroy’s 1984 There Ain’t No Black in the Union Jack), Gil plans to take his social engagement work to the next level, using a petition to parliament to stage public discussions about the constitution of the official flag. He will launch this call during the Tate Exchange programme. Many of the artists use multifaceted titles to describe their practice, such as Bern O’Donoghue’s biography as ‘Artist, Educator and Facilitator’. 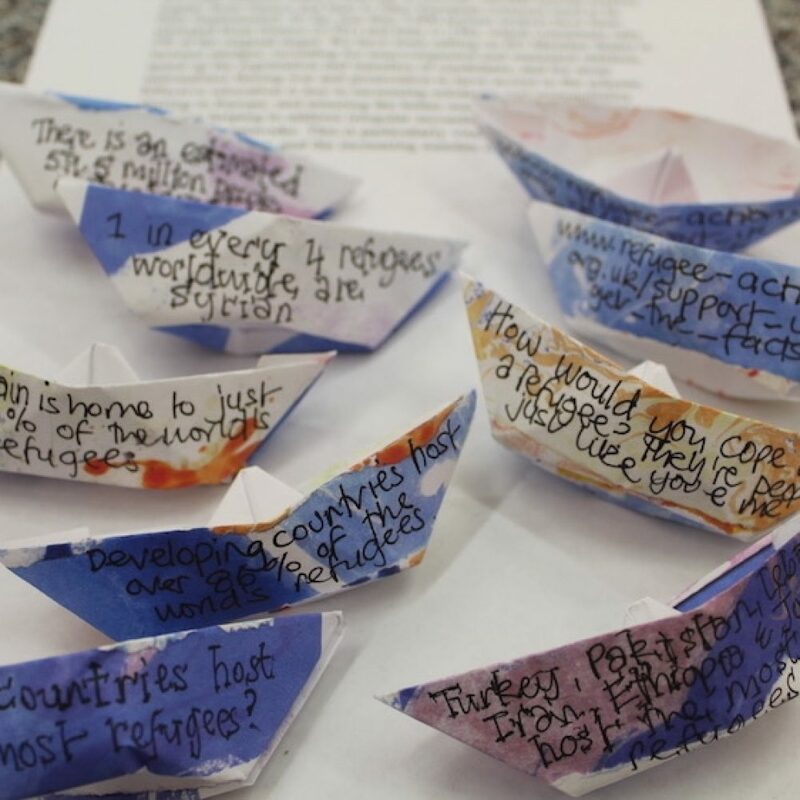 Bern’s ‘Dead Reckoning’ is hugely affective, with hundreds of miniature origami boats representing the lives of the missing migrants lost en route to Europe. 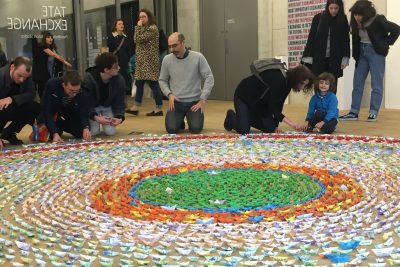 The small objects strewn across the gallery floor in the form of a participatory installation promise to make a bold and considered public gesture. Like Alketa and Gil, Bern engages visitors on site, inviting them into the process of making the artwork: each tiny boat transforms the abstract statistics and data into something embodied and human. The co-production of this work is dependent on encounters facilitated by the artist asking questions, exchanging stories, dispelling myths – literally bringing the media and policy narratives into shared ground through urgent solidarity. Bern: It is in the small and the simple where human scale may be found, where one mind is changed, and we begin to change the world. In comparison and at first glance, Behjat Omer Abdulla’s ‘From a Distance’ series seems conventional. 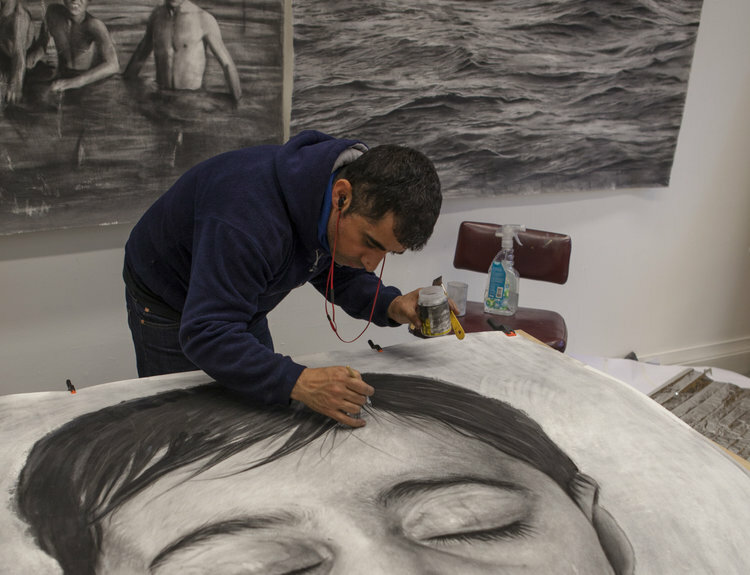 One of the few gallery hangs at Who Are We?, comprising large detailed graphite drawings that are profoundly moving in their symbolic yet subtle marking of a specific tragedy involving a migrant mother and her twin children en route from Syria to Europe. In much of Behjat’s work there is a sense of political, personal urgency in the very act of physical ‘portrayal’. It is the painstakingly labour intensive and slow iteration in pencil, which makes this work so devastatingly impactful. This is a memorial for unsettling times. 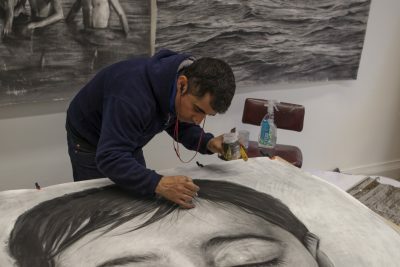 Behjat’s residency at Tate Exchange is supported by the Swedish Embassy London; he ran a series of participatory workshops focusing on the politics of portraiture, displacement and identity throughout the week. Equally provocative and defiantly un-classifiable is Richard DeDomenici’s ‘Shed your Fears’, first conceived at a Counterpoints Arts’ Arts and Social Change retreat at Dartington Hall in October 2016. We’re looking forward to seeing this very first iteration at Who Are We? with a prop designed – in collaboration with the artist – by Universal Design Studio. 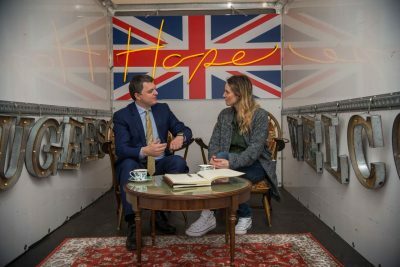 Richard ran ‘Shed your Fears’ for the full week of Who Are We?For Richard, ‘Shed your Fears’ is: A non-denominational, non-hierarchical booth, into which two people from different backgrounds get to confess their fears to each other. In the context of recent socio-political upheavals, participants would be encouraged to share their innermost fears. And by sharing them hopefully shedding and transcending them. If it goes well, they could also be encouraged to share hope and dreams. As a non-financial micro-incentive free tea and biscuits will be provided through a slot in the wall. Richard will be running ‘Shed your Fears’ for the full week of Who Are We? Who Are We? is jam-packed with light installations, site specific work, live art, learning labs, screenings, workshops and seminars, all designed to encourage open debate and dialogue across separate silos and sectors. Amongst others, we’re collaborating with The Stuart Hall Foundation on a public seminar, which in many ways points to the very heart of the mission of the Tate, asking ‘how contemporary art institutions shape our sense of identity and belonging at a time of political and social turbulence’. This is a question on all our lips and will be central to Who Are We? at Tate Exchange. A giant banner stating Who Are We? 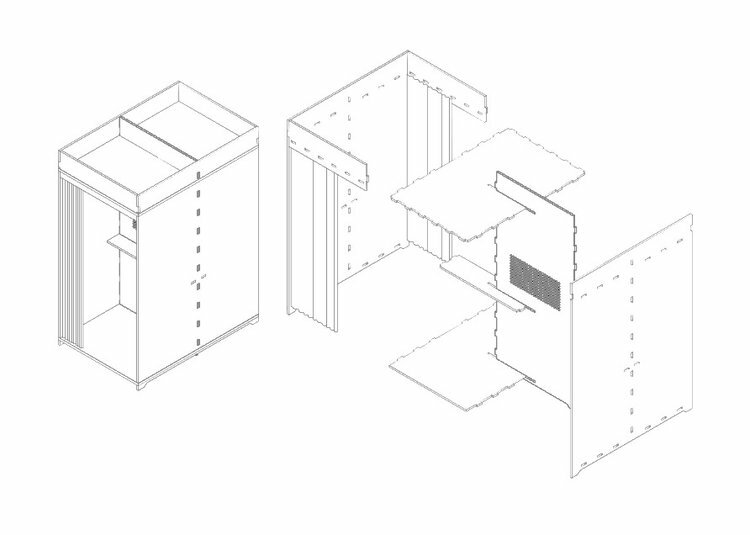 designed by Graphic Thought Facility will sit on entrance to the 5th Floor at Tate Exchange. If you visit you cannot miss it! 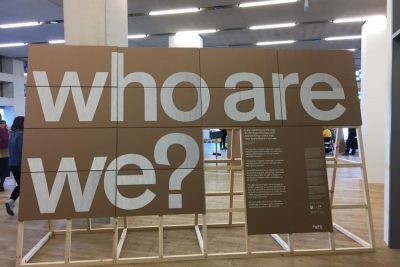 We’re using it as an agitprop and sign to gather around and send collective messages out beyond Tate Exchange, ensuring that many more versions of ‘artivism’ on the theme of Who Are We?continue outside the gallery walls. Counterpoints Arts plans to take several of the installations at Who Are We? (along with others) on the road across the UK in 2017/2018, in what we’re calling place-based ‘cooperative commissions’. 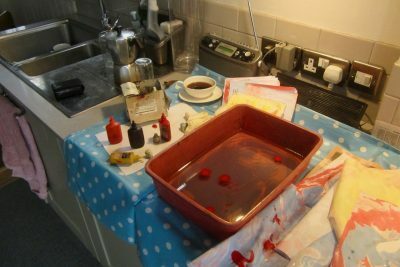 Each commission will reflect a ‘cooperative’ approach and a commitment to co-producing art in local places, ensuring that many voices and imaginations are involved in the shaping of the work.